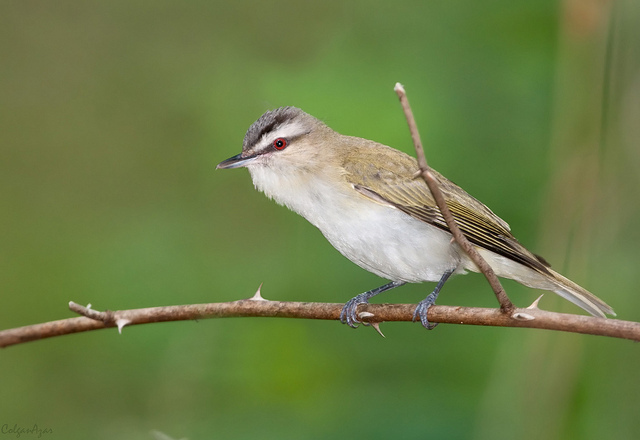 The Red-eyed Vireo is a breeding bird in North America. It hibernates in South America. Only very rarely a vagrant crosses the Atlantic and ends up in Western Europe. 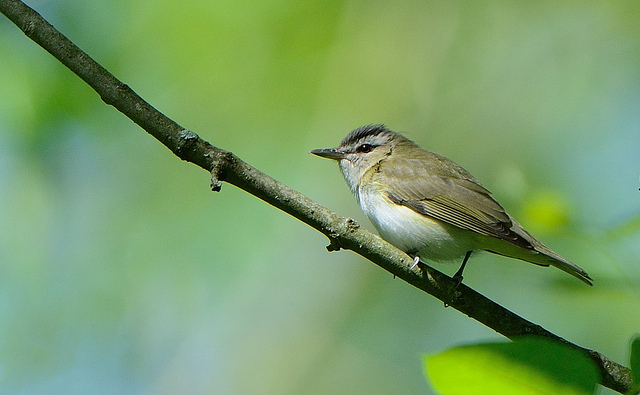 It is a green songbird with a thick beak.